The first promotional push for the new Peanuts theatrical movie, currently scheduled for release on November 6, 2015, arrived this morning from 20th Century Fox and Blue Sky Studios. The studios released the first teaser trailer for the movie, giving a taste of how the new CGI-based animation will look. You can watch it on YouTube. 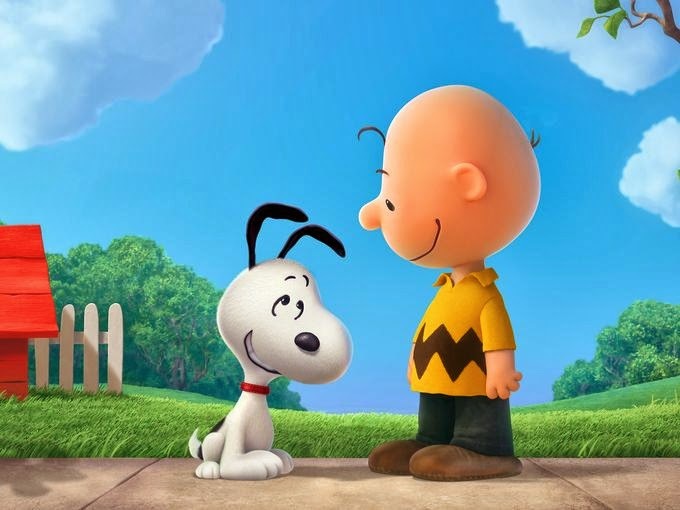 Next, producers Craig Schulz (son of Charles Schulz) and director Steve Martino talked with USA Today in two articles about the movie, Sneak Peek: 'Peanuts' cracks big screen again and 'Peanuts' true loves: Red-Haired Girl and Fifi step out. From the articles we learn that "the story will bring together the entire cast from the strips and television specials" and will also feature a large on-screen role for the "little red-haired girl" (who was an off-screen character in the comic strips, but who did appear on-screen in the TV special It's Your First Kiss, Charlie Brown). Also appearing as a love interest for Snoopy will be Fifi, a poodle who appeared in the TV special Life is a Circus, Charlie Brown. Other small reveals are that we'll see the World War I Flying Ace in action and familiar strip locations such as the skating pond and "the wall" where characters often ponder life. Both Schulz and Martino promise that "the settings will not be updated to the present, continuing with the eternal look of the strip." Finally, there's now an official website for the movie, http://www.peanutsmovie.com , although at the moment it's pretty much a placeholder with just a very short blurb about the movie and a link to the trailer. I'm excited about this. It looks much better than I was expecting. I'll admit from the little bit I see in that clip.... It looks really nice. The colors are right and Snoopy's voice sounds ok. I trust the Schulz family to be true to Sparky's vision.